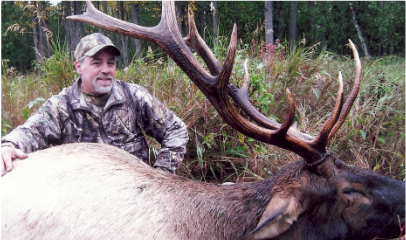 Bull elk are an increasingly sought after trophy. They can be tough but the adventure is always awesome. Its sometimes easier to put a good bull 20 yards in front of a bow hunter during the September bugle than it is to put one within 200 yards of the late season gun hunter. Our listings vary based on potential animal quality as well as physical conditioning requirements for our more strenuous hunts. High Success Pack-in Adventure MORE..
Our Most Popular Elk Hunt. MORE.. Bucks of the Southwest. MORE..
Destination; Elk, Deer & Moose. MORE..
High Success on Colorado Bulls MORE.. Traditional High Country Hunt. MORE..